Even if you’ve never tried Afghan cuisine, you’ll find the food at Kamdesh Afghan Kabab House entirely approachable. It’s the essence of down-home comfort fare: tender braised meats; soft, garlicky vegetables; warm bread. The bolani — a traditional stuffed flatbread — arrives at the table piping hot with a potato-and-onion filling that recalls good homemade pierogi. Kamdesh’s charbroiled kebab options are intensely flavorful but prone to being overcooked. 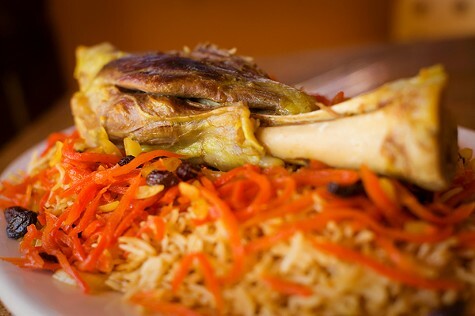 Best of all is any dish that comes with braised lamb shank, especially the quabili pallow, a biryani-like rice casserole with raisins, pistachios, and rice that’s cooked in the juices of the lamb. Portions are large; prices are reasonable. All of the meat is Halal-certified. Not continuous service — usually closed for a couple of hours in the afternoon.